To assist engineers and specifiers in the creation and modification of pipework design, a database of water pipeline products is available to download and on CD-ROM. The software enables accurate drawings to be produced quicklyand easily by calling up pipeline components and arranging them on screen. 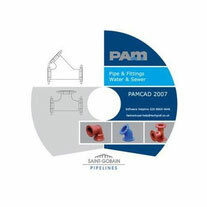 Saint-Gobain PAM UK has released a brand new version of its acclaimed software package for the design and specification of both clean and dirty water pipeline schemes. Version 3 of PipeSpec® has been fully updated to include BluTop, the company’s complete system for small diameter pipe networks. 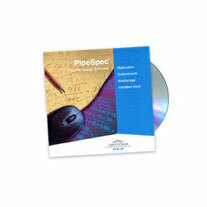 PipeSpec® v3 is available to download here, or as a free software CD for installation on a stand-alone PC. The CD can be ordered by calling our technical department here. 'Induct Plus' is an installation support initiative developed in recognition of the water industry's need to reduce operating costs and improve capital spending efficiency. In conjunction with WRc and industry representatives a unique set of installation instructions, based on proven best practices, has been designed specifically to attain lowest whole life costs for ductile iron pipelines. The 'Induct Plus' scheme incorporates an assessment and certification process enabling water utilities to evaluate the effectiveness of individual contractors and provides a means to maintain high standards of installation for ductile iron pipeline systems.